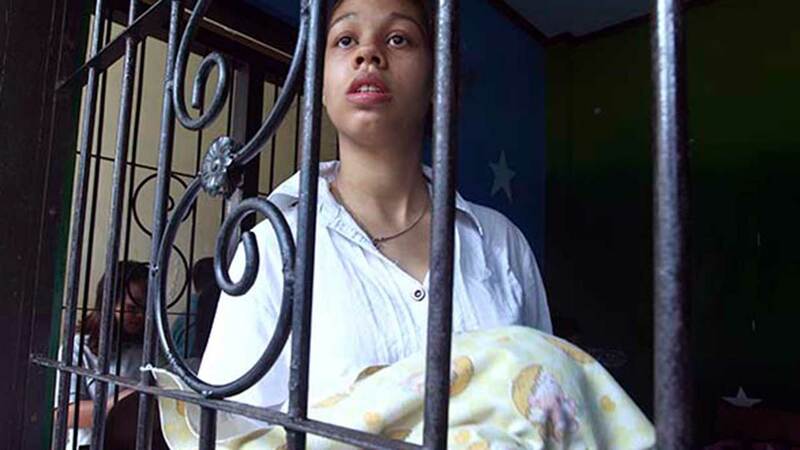 CHICAGO (WLS) -- Some reports are speculating that Heather Mack may be giving up her daughter after a newly released video shows her being taken to the hospital without Mack. Mack's 8-month-old daughter Stella is seen going to the hospital for the first time without Mack, accompanied by an unnamed woman, according to the Daily Mail. Previously it has been reported that Stella would stay in the prison with Mack until she turns 2-years-old. Mack has been raising Stella in an Indonesian prison cell after being convicted in the murder of her mother, Sheila von Weise Mack. Her boyfriend, Tommy Schaefer, was also found guilty. Von Weise Mack's body was found stuffed in a suitcase in Bali in August 2014.